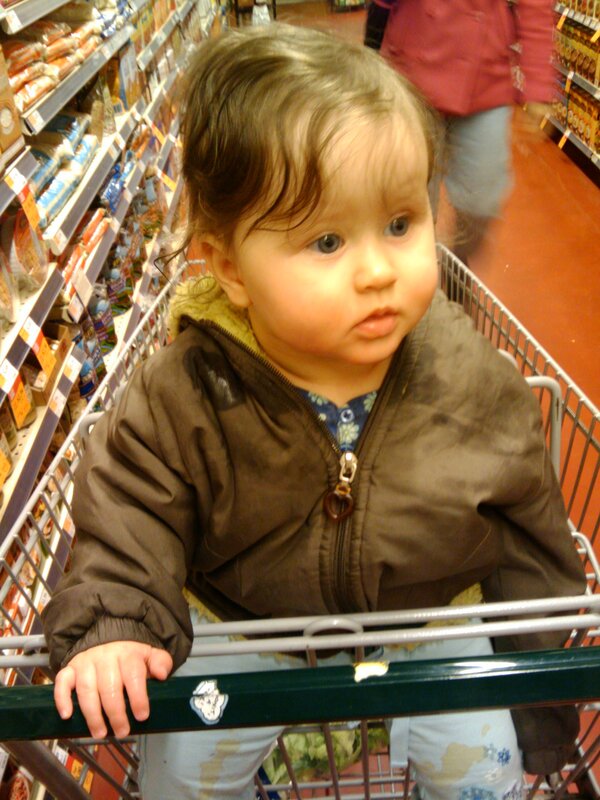 Evelyn went for her very first ride in a shopping cart today. She thought it was pretty great – a fun ride, and so much to see! 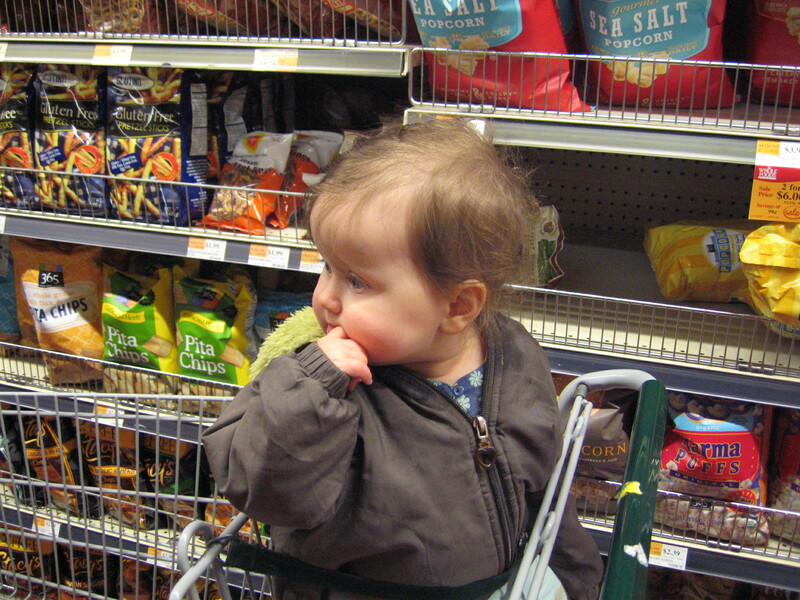 The store was pretty crowded, so there were lots of things going on and Evelyn was working hard trying to figure everything out. 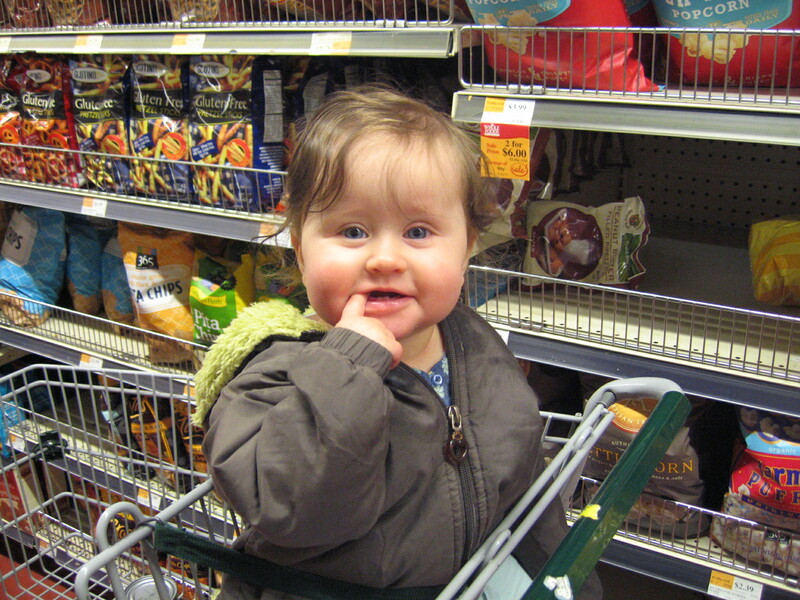 Being in the cart was a whole new angle on things! Evelyn, how did your shoulder get so wet? Here you can see Evelyn’s brand new teeth! They’re just poking through, and they’re sharp!